Hired a castle for my daughters 3rd birtbday. Amazing service. Really quick to respond. Put it up with no problem. Came to pick up even though they had a family thing going on when we wanted them. Highly recommend. Booking my next one for this month. All of these amazing castles have velcro artwork which means we have over 20 different pieces of artwork which meets most party occasions for the children to enjoy and have bouncing fun. 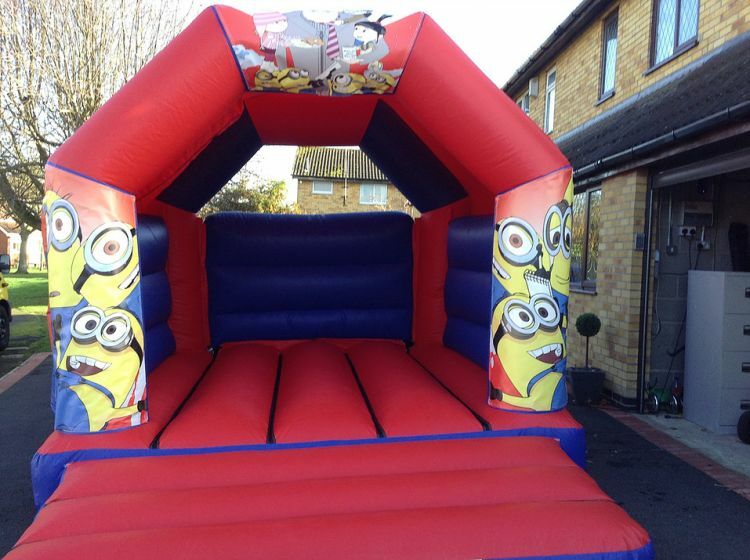 This size castle is our most popular castle and is only 9.6ft tall which means they are suitable for most indoor venues around the county. All are castles are cleaned and our stock is rotated regularly so all are castles are in excellent condition.